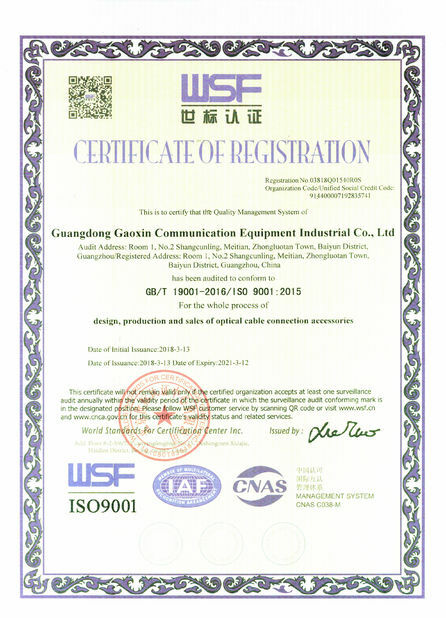 Guangdong Gaoxin Communication Equipment Industrial co, Ltd was founded in 1999 in Guangzhou China, being one of the most Industrial provinces in the Peoples Republic of China. 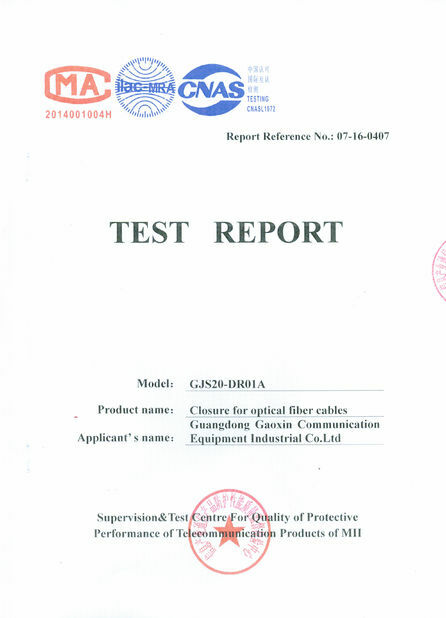 We are a professional manufacturer of all kinds of Fiber Optic Splice Closures ,Fiber Termination Box ,and other relative auxiliary telecommunication equipments. We hold the concepts of customer-first and quality-first as our philosophy. 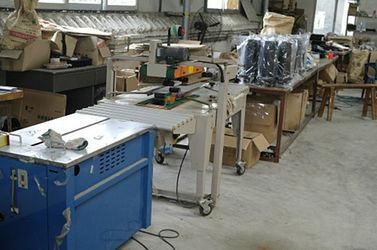 We understand deeply that quality is the backbone of any enterprise. More than 100 customers have established long term business relations with us These are mainly from diverse Countries which include; North America, Russia, West Europe, South America, Southeast Asia, Middle-east and Africa and counting. We have more than 20 experienced experts engineers with a total experience spanning over 30 years in telecommunications industry. 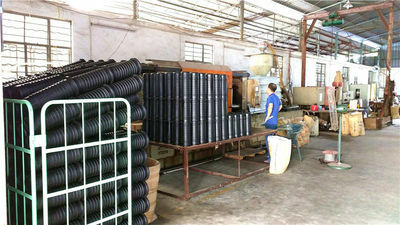 These engineers have acquired the necessary industry qualifications to make World-class products without any faults. We have provided a considerable number of telecommunications products and excellent backup services since our inception to the satisfaction of all our clients. 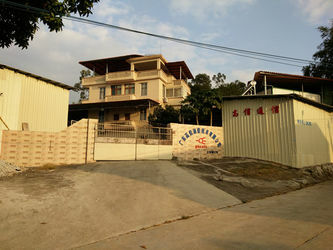 Our high-quality products, reasonable prices and excellent services have created value for our customers and have been recognized by all our clients who repeatedly buy from us. 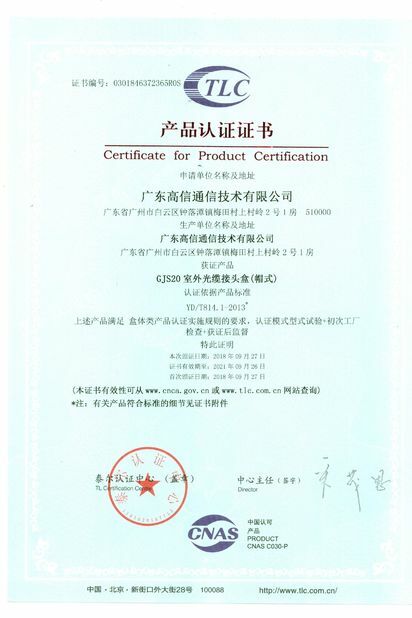 In 2007, we passed ISO9001 quality system certification. 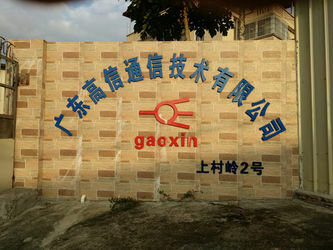 Gaoxin was founded in the year of 1999.Located in Guangzhou China,where is one of the most prosperous places in china.More than 10 years,we only commited to deveop fiber optic splice closures used in many kinds of applications for our clients worldwide. We are a professional manufacture&exporter of all kinds of Fiber Optic Splice Closure,Fiber Terminal Box,and relative auxiliary communication equipments.